Make an informed decision. 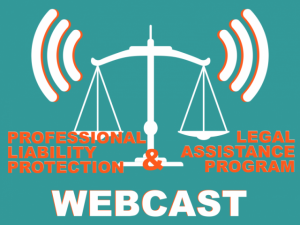 Join us for a special webinar for NPs about RNAO's professional liability protection (PLP) and Legal Assistance Program (LAP). A Q&A will follow. Please note that participation in this webcast requires a computer equipped with speakers and an internet connection. Details on how to access a webcast will be sent to your email 48 hours prior to the webcast date. If you have any questions, please contact Carrie Edwards.